Potholes are causing more breakdowns than ever with stats from the RAC showing drivers are more than twice as likely to breakdown due to hitting a pothole than 12 years ago. In the last year the RAC dealt with 14,220 breakdowns where the likelihood was that they were caused by potholes. This is the second highest percentage ever recorded since the RAC started analysing this data in 2006. The Pothole Index, which is the RAC’s long-term indicator of the health of the UK’s roads, also shows that things are not getting any better as the index remains considerably higher than it was in the third quarter of 2017. RAC chief engineer David Bizley said: “There is little doubt local road conditions in many parts of the country are substandard and have been so for quite some time. Data from this quarter’s RAC Pothole Index supports this showing there has been a steady deterioration in road condition over the last 18 months with the latest quarter not showing a significant improvement. We cannot simply blame Storm Emma and the Beast from the East, even though they certainly made matters worse. “This is consistent both with motorists’ views from this year’s RAC Report on Motoring research and the annual independent study carried out by the Asphalt Industry Alliance (AIA) which shows the backlog in terms of road repairs and maintenance continues to grow. 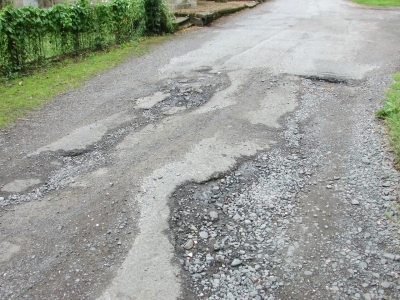 The AIA also found that around 20% of local roads are in ‘poor structural condition’, which means they have five years of life or less remaining. “The Government has continued to make some efforts to address the issue. In March 2018 a further £100m was made available to help local authorities repair potholes and storm damage that had resulted from the harsh winter weather.